Hobbies: Exploring Dublin, going to the movies, walking and Italian food! You can do it! There is a route out there for everyone and you don’t have to be a super athlete or an expert hiker to go on a walking holiday. As long as you enjoy fresh air, exercise, great food, and leaving some room for adventure, then a walking holiday is a great fit. There are so many possibilities to explore, whether you are looking for a challenge or more of a leisurely stroll. I love the Camino because it can be so many things to so many different people. It can be a perfect opportunity to escape daily routine, slow down, and reconnect with themselves. Or for others, it can be an incredibly moving spiritual or emotional journey. In the end, I love that it is the Camino that brings all these people together to have new experiences and look out for each other. 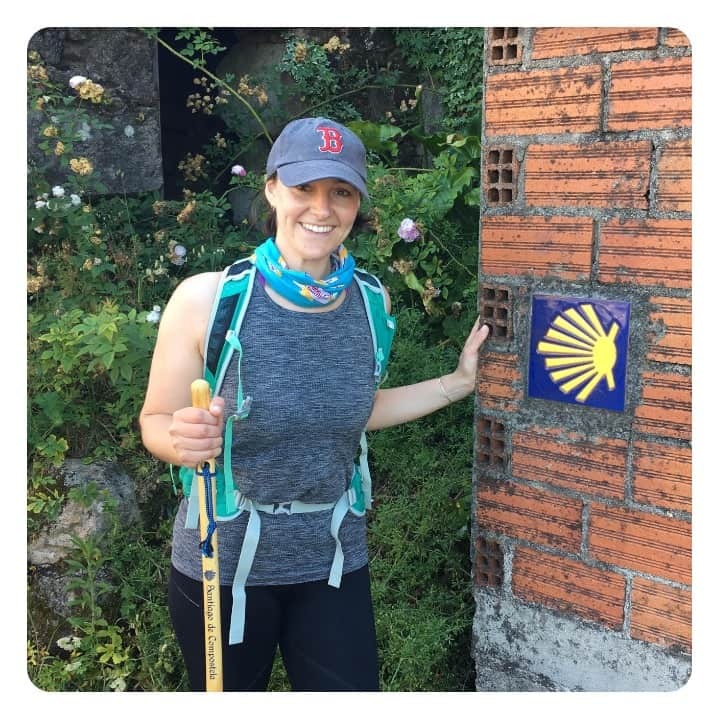 It is such a great experience working at FTC/OFA because of the commitment each of my colleagues’ has to creating memorable trips on the Camino. It is so exciting to work in an environment where people really enjoy what they do and enjoy going the extra mile to make sure their clients have a great time. I love being able to be part of the team. There is always so much laughter in the office! As well as walking what are the advantages of a walking holiday? It is not often that a holiday allows you to really immerse yourself in a place and a culture. By walking the Camino, you can take in all the nuances of the landscape and get to know the local people, even practice your Spanish! All you need to focus on is the road ahead (and maybe that glass of wine at the end of your walking day).